Midwest Education Technology Conference 2013 arrives with bright excited people and shiny technology tools this coming week, Febrary 11 - 13, here in St. Charles, Misouri. I'm so excited and thankful to be one of the Midwest Spotlight Educators for this first year. 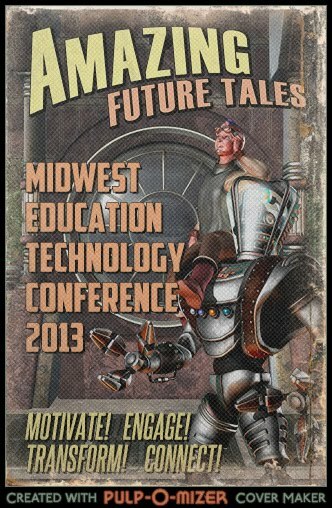 Join us at the Convention Center or follow us virtually on Twitter via #METC13.